The best thing about studying in London, apart from the outstanding education options, is the sheer number of opportunities to expand one’s professional network. This is particularly important for those students seeking careers in finance or professional services, where tens or even hundreds of applicants are often chasing the same job. As many students are no doubt discovering, an excellent academic record is necessary but not sufficient as employers often want relevant work experience and excellence in an extra-curricular activity. Internships are also rare, making it at times particularly challenging to obtain practical experience and to gain relevant insight in one’s chosen future industry. With this in mind, Birkbeck’s Economics & Finance Society enters student teams into select competitions, with the hope that preparation for and participation in such contests augments their understanding of financial concepts, and sharpens their technical skills in preparation for the challenges of the job market. Last month, the Society entered a team in the Venture Capital Investment Competition(VCIC). This event, supported by the British Private Equity & Venture Capital Association, is designed to simulate the analysis, preparation, and delivery that private equity and investment professionals engage in when evaluating risk-return trade-offs and executing exit options. Taking place over the course of one day, students from multiple disciplines have the opportunity to test their understanding of the praxis of corporate finance against top teams from other universities. Although this marked the first time that the competition took place in London, VCIC enjoys a strong tradition of participation in United States. The original Venture Capital Investment Competition began at UNC Kenan-Flagler in 1998 as an educational event for MBAs to learn about venture funding. The format has largely remained unchanged. Experienced investors act as judges and students have the opportunity to interact with actual entrepreneurs to analyse capital structure of young firms and decide potential investment opportunities; students work in teams to conduct due diligence, look through topical, complex business problems and present valuation, investment analysis, and relevant proposals concerning syndication, option pools, and anti-dilution measures. The event had a strong London flavour to it as a number of the capital’s institutions were represented. 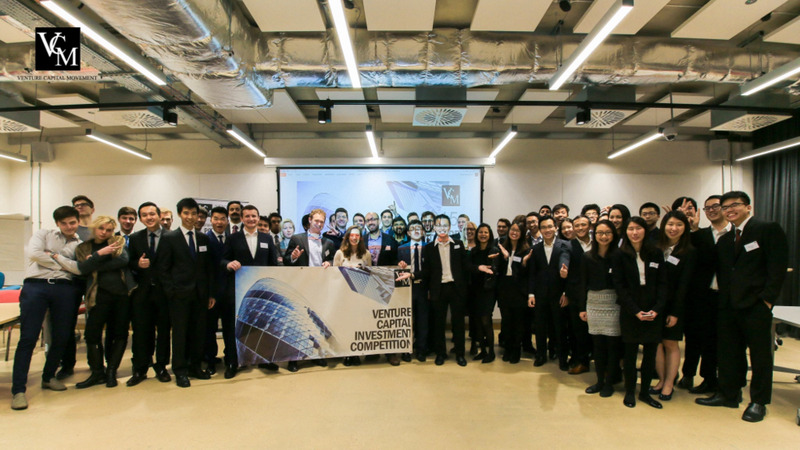 Eight teams were participating in total, with students from LBS, LSE, Queen Mary’s, UCL, King’s, Cambridge and Birkbeck. The event received wide coverage in diverse international media, including outlets in United States and Singapore’s The Straits Times reflecting the London’s international workforce and diverse student population. In addition, all of the participating start-ups were London-based technology companies, reflecting the capital’s vibrant network of tech hubs. The competition was organised under the aegis of UCL School of Management, and served as a both a training ground and a marketplace. On the one hand, future finance professionals were able to learn a great deal about technology commercialization and investment due diligence by working with owners of actual start-up companies. On the other hand, students were able to engage with the full spectrum of entrepreneurial activity, from a company’s planning and execution strategy, to the due diligence process for potential investments. In turn, firms’ owners benefit from students’ management insight and strategic recommendations they otherwise might not obtain. Although the competition is new to London, it enjoys a strong tradition of participation in United States. Indeed, the event, which originated in North Carolina in the midst of the technology bubble as an opportunity for graduate students to learn about venture funding, is now in its 18th year. As a result of this tradition, the winning team, LSE, was invited to take part in the VCIC International Finals at UNC Kenan-Flagler in North Carolina, United States. During the competition, students were able to deepen their understanding of the links between potential investors and business owners. Such links include, for example, both the explicit contractual arrangements between entrepreneurs and venture capital providers, and the implicit contract which gives a successful entrepreneur the option to reacquire control from the venture capitalist by using a floatation as a means by which the venture capitalist exits from an investment. Students were also able to gauge the viability of alternative forms of investment such as acquisitions, alliances, and licensing. The company evaluation case-studies provided up-to-date and real-life corporate finance challenges that offered participants practical experiences in the field of financial services. Overall, the competition was an opportunity to interact with students from other top academic institutions, to immerse in a global business context where competitors are potential partners, and to become familiar with the challenges of managing a company. Was it a valuable experience for participants? Without a doubt, yes. Students of investment have long been interested in how firms can achieve growth. In this vein, a long tradition of scholarship exists on the various tools that firms can employ to pursue financial growth and corporate development. While there are extensive opportunities available for learning about various means for business development and corporate growth, both at undergraduate and graduate level, there are relatively few opportunities for students to augment the entrepreneurial concepts learned in lectures and seminars with practical field-based knowledge. There are even fewer opportunities to solve realistic business problems with a corporate finance focus under the direct guidance of senior M&A practitioners, industry experts and company directors. It is hoped, through the continued engagement of London’s business and investment leaders, as well as through our academic network, that we can help prepare our society members for job market success. This competition, and others like it, can help understand how business strategy would flow down to operations and to financial performance of a business. It highlights how competition, contracts and external factors dictate business in terms of pricing and quality. It was also an opportunity to integrate appreciation of demand, pricing, legal factors, finance and accounting, and strategy, towards a common goal of financial performance. The Birkbeck team consisted of: Dimitrios Bissias (MSc Economics), Ahmed Razzaq (LLM),Hannah Duck (BSc Statistics and Economics), and Ved Vyass Boojihawon (BSc Financial Economics with Accounting).